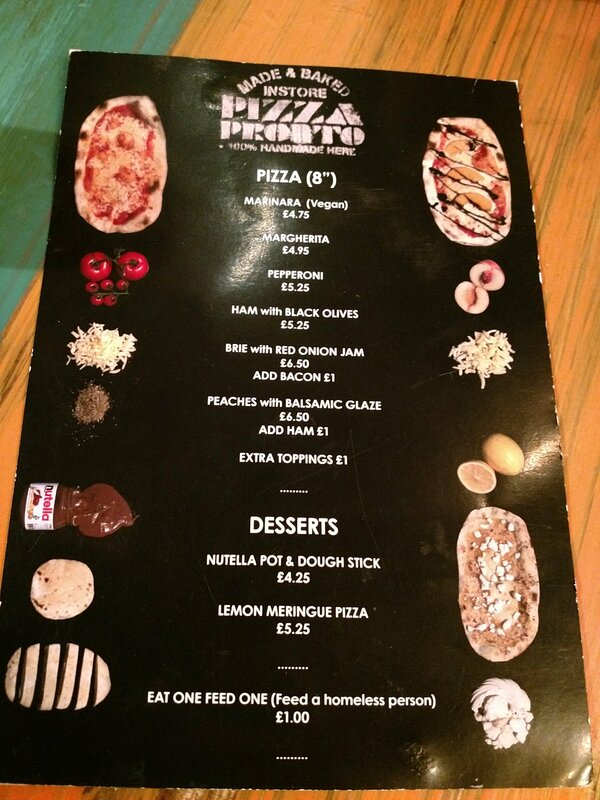 Pay it forward pizza – Pizza Pronto, Treetop Adventure Golf, St. David’s 2, Cardiff City Centre. Pizza Pronto (which started off in Penarth – still there – and then expanded to a second outlet in Cardiff Bay- no longer there) has moved into the City centre with an outlet in the rather alarming (to an old fogey like me who never got into golf) looking Treetops Adventure Golf in the St. David’s 2 Shopping centre. 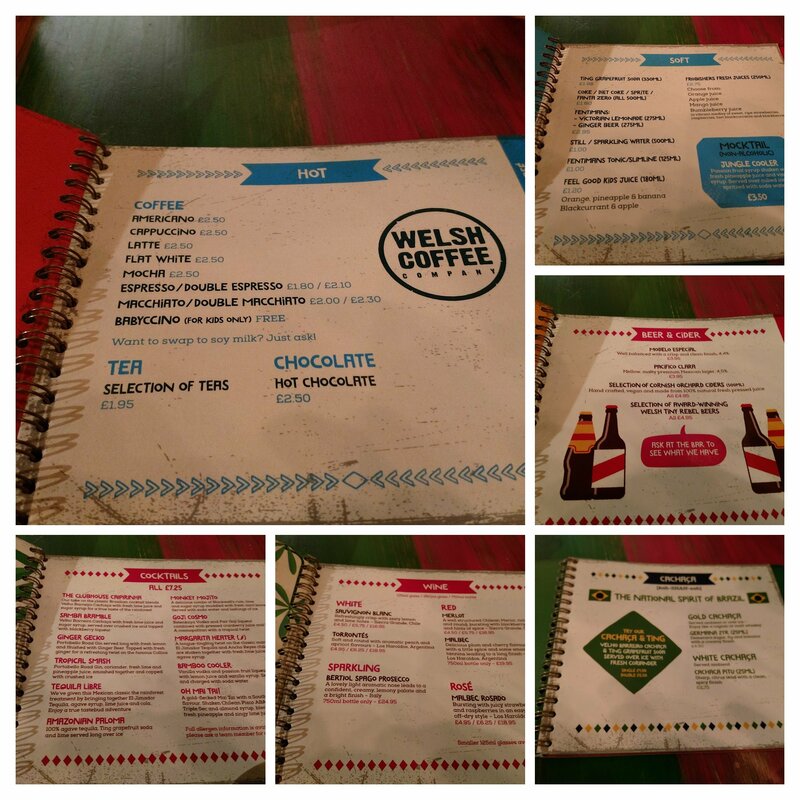 Having not got around to eating at their Penarth outlet or the one down Cardiff Bay (the later now in the process of being turned by Stephen Gomes into the rather interesting sounding Gourmet Guru – Indian Street food shack), I was keen to try their new outlet in St. David’s 2. Thankfully (from my perspective) you can eat at Pizza Pronto here without having to indulge in a round of crazy golf (not my cup of tea really, but equally there are plenty for whom it is and they now have the advantage of the option of a pizza pre, post or indeed during their round). I don’t really know how to describe the place if I am honest. 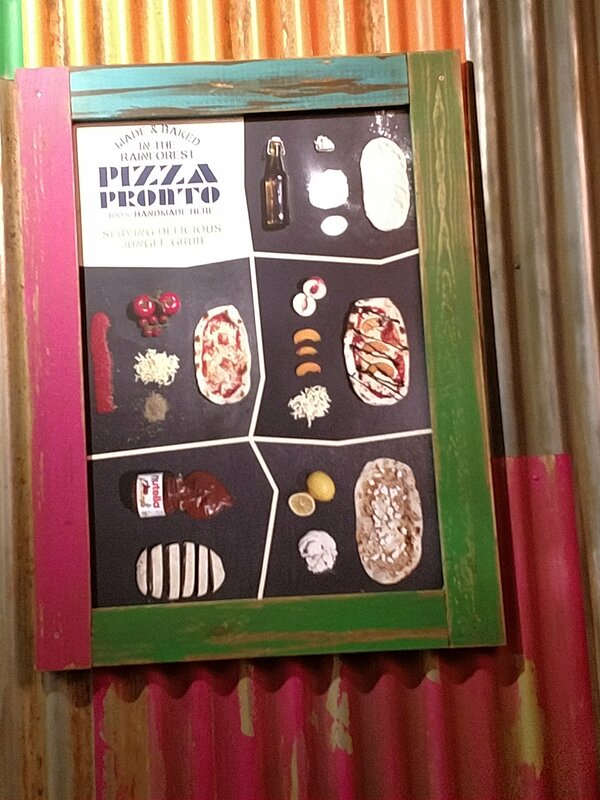 The Pizza Pronto bit is situated at the start point of the course which has a jungle theme. The whole thing reminded me a bit of the set of Carry on up the Jungle (not a classic of that genre by any means and seemed to be very low budget even by “Carry on” standards – Carry on Screaming and Carry on up the Khyber were best ones if you ask me – have to be an oldie to remember these). In terms of the eating area it is a bit spartan but comfortable enough. You do have to put up with some rather irritating periodic noises coming off the course (set off, I assume, when a ball goes in one of the holes). Par for the course (excuse the pun) I suppose in a crazy golf place and your brain filters it out surprisingly quickly. 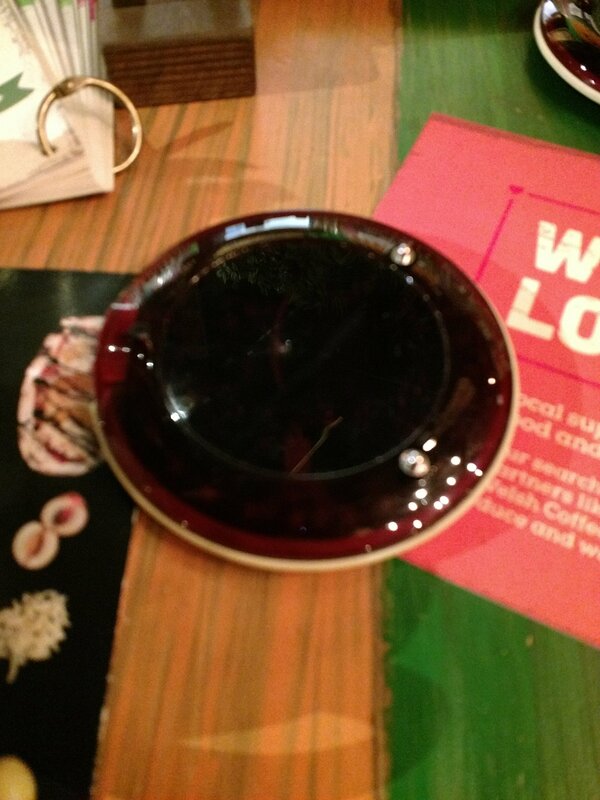 You order at the main counter and are given a disc which illuminates when your pizza is ready. You then pick it up from the separate Pizza Pronto kiosk. It took no more than 10 minutes. 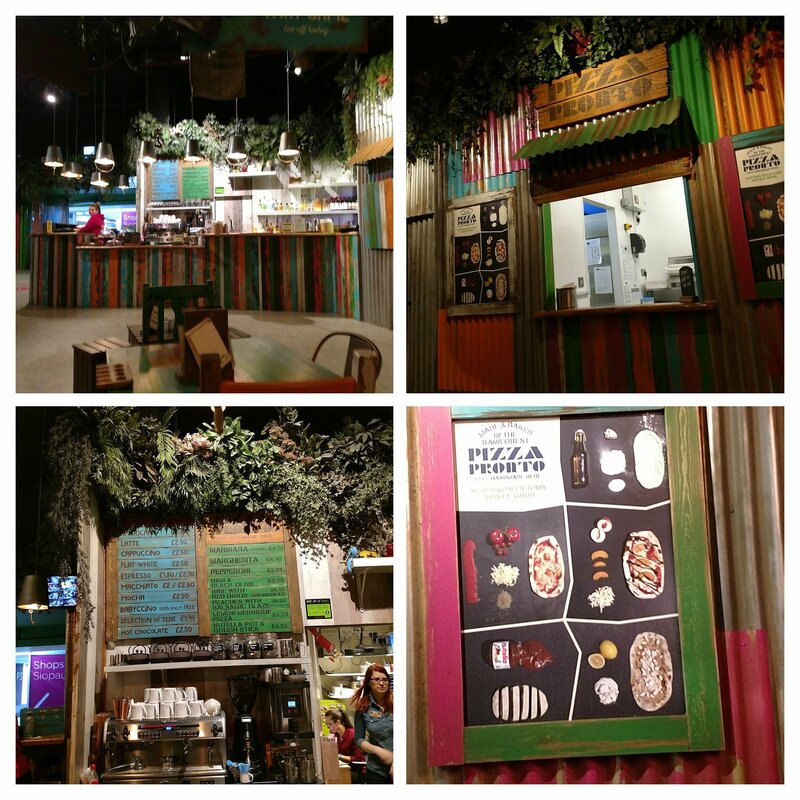 The menu is, of course, pizza orientated, with both savory and sweet options (not sure about the lemon meringue pizza but I don’t have much of a sweet tooth – am sure the kids love it though). It is nice to see they have brought with them what I call their “Pay it forward” pizza concept that has always been a feature of Pizza Pronto’s other outlets. Payment of an extra quid to have them cook up a hot pizza to give to a homeless person is a small price to pay and Pizza Pronto delivering pizza on that basis is heart warming. It is also nice to see you can get a pizza here which allows for change from a fiver (both the marinara and the margherita). Myself and one of the chaps from work both went for the pepperoni pizza (£5.25). This came in a heat retaining (foil lined) bag so takeaway is an option, but we were eating in. 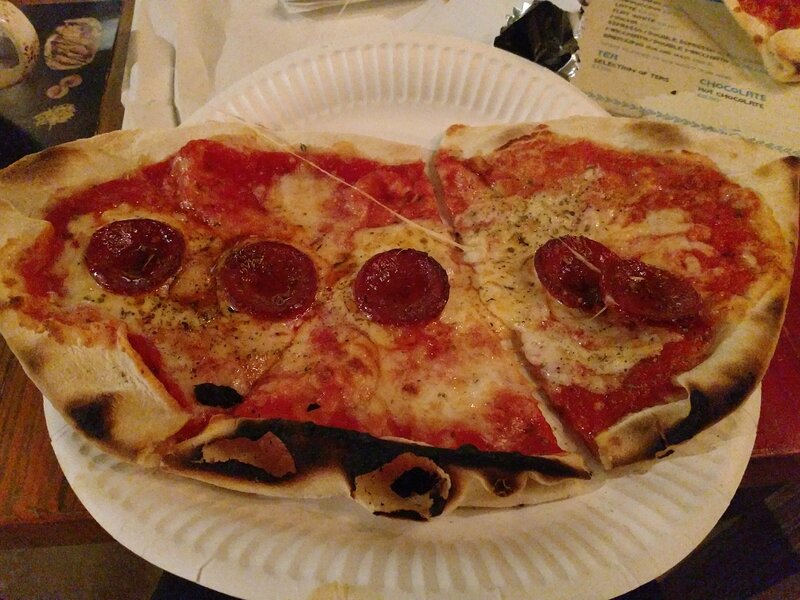 The pizza had a good flavour to it with nice gooey, stringy, cheese and a really very good marinara sauce (bags of flavour to it and bang on with the seasoning). Bar from the slight catching of part of the crust, my only sort of gripe (there usually is) was the amount of pepperoni on both our pizzas (5 pieces each). A few more slices would have been nice and placing them in a straight line weirdly made it look quite minimalist. I think a couple more (or even the same number placed more irregularly) would have made both the eyes and the stomach perceive it as a larger pepperoni portion. Having said that I was happy enough with it for a spot of lunch (and it was only 30p more than the margherita one). On the wine side (readers will know that is where I will always gravitate to) the usual suspects in the form of prosecco (not a huge fizz drinker, but don’t get the obsession with prosecco – cava is as cheap and usually better at the lower end of market and I would go for a crémant anytime at the mid range end), sauvignon blanc and merlot were on offer. Of more interest were the presence of those Argentinian stalwart, torrentes and malbec. Odd that, bar from the prosecco, there are no Italian wines on the list. Sangiovese (i.e. chianti) is a great pairing for pepperoni pizza and a Sardinian cananau (garnacha) is lovely with a margherita one. I think the peach and balsamic could work with a riesling (from the Fruili – Venezia Giulia region, which borders Austrian to the North and Slovenia to the East). It was a chilly September work day so it was a “no booze, need a hot drink” kinda day. 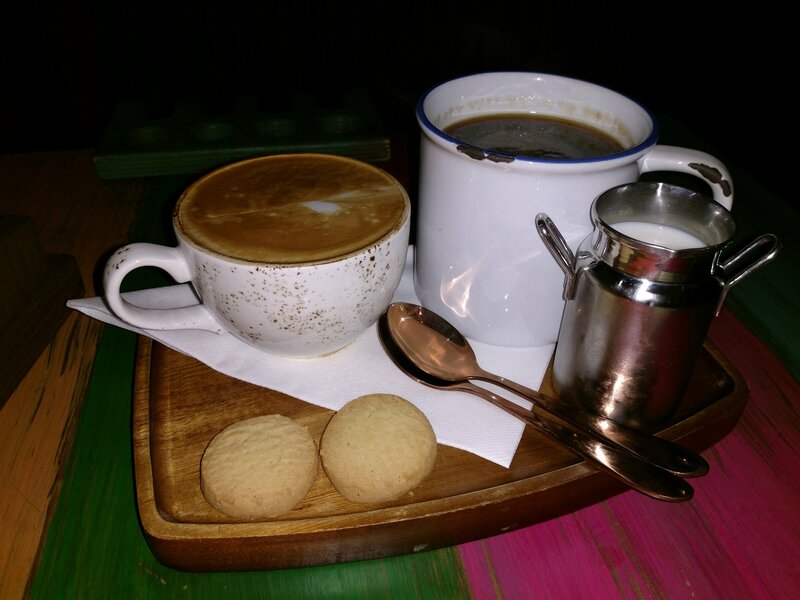 I went for a flat white and my friend an Americana (each £2.50). 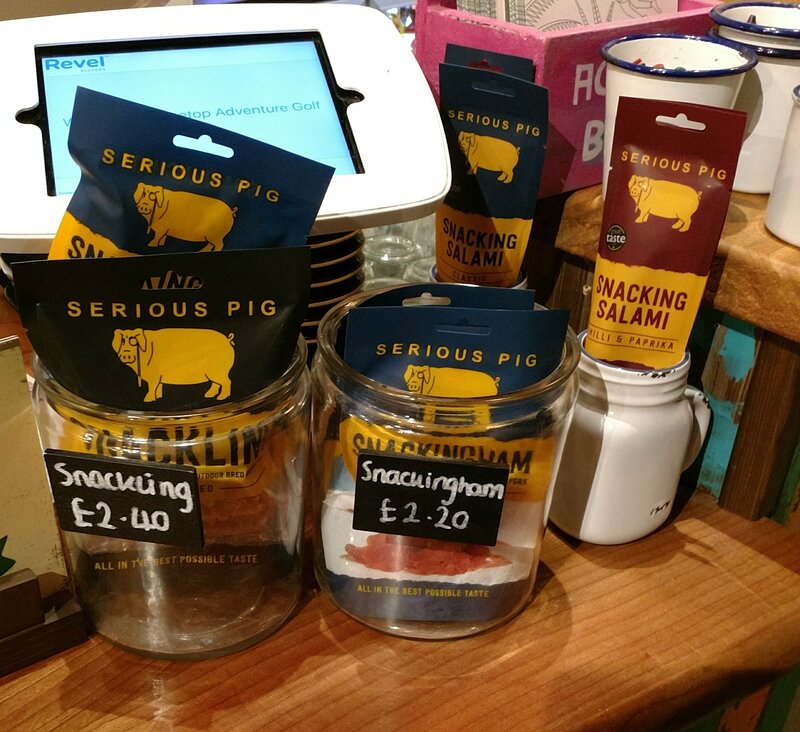 Both were perfectly nice and I rather liked that they came with a biscuit. Pizza Pronto (in Penarth and then down the Bay) has built up a loyal fan base and I am sure they will be pleased that the Bay outlet has moved to a more central location (not if you are located in the bay though I suppose). 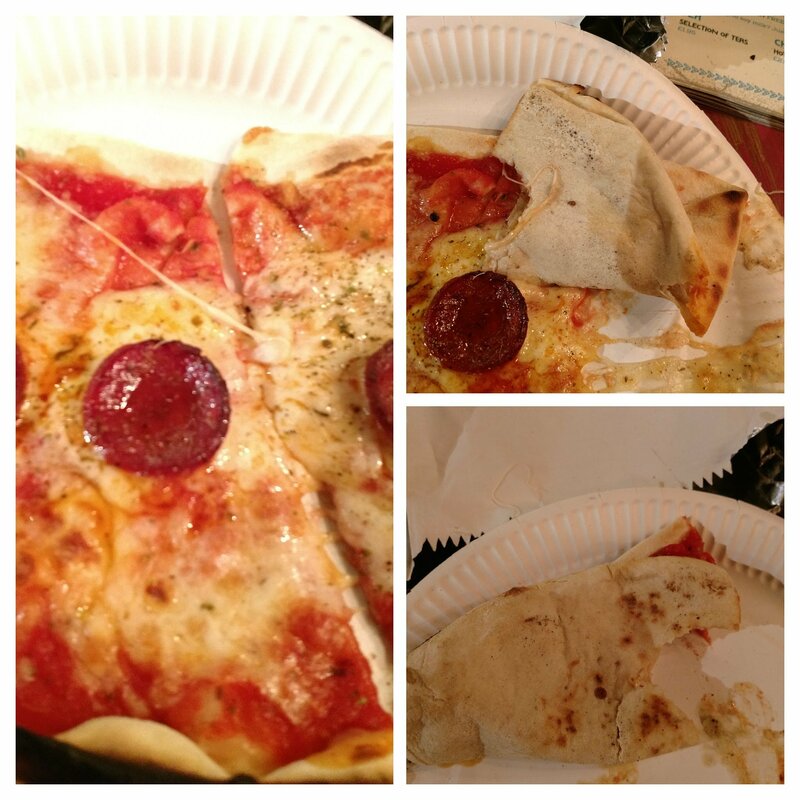 I enjoyed my pizza and thought it good value at £5.25. 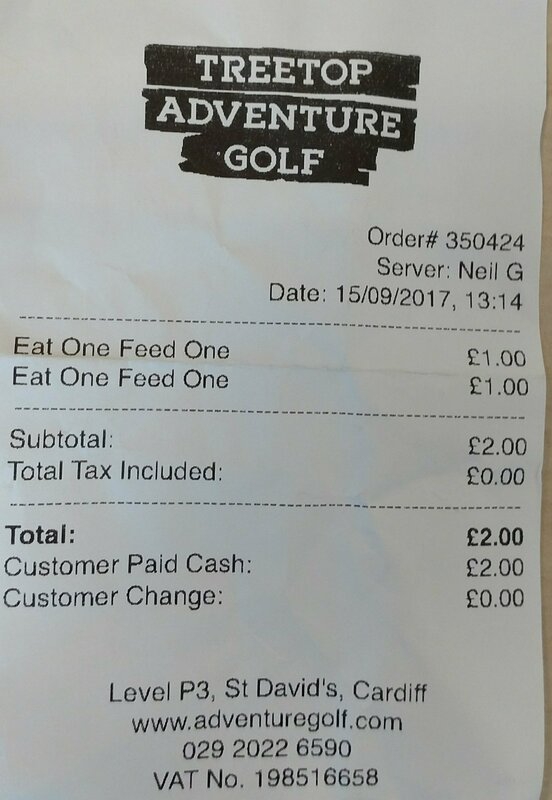 I also love the fact you can pay a mere pound (we both took up this option) to feed a homeless person. £6.25 to feed me and a person living on the street is some bargain if you ask me. Address: Level 3 , St. David’s 2 shopping Centre, CF10 2EL (follow signs to Treetop Adventure Golf). Opening hours: Mon – Weds: 12.00 – 21.45, Thurs – Fri: 12.00 – 10.45, Sat: 12.00 – 23.00, Sun: 11.00 – 22.45. 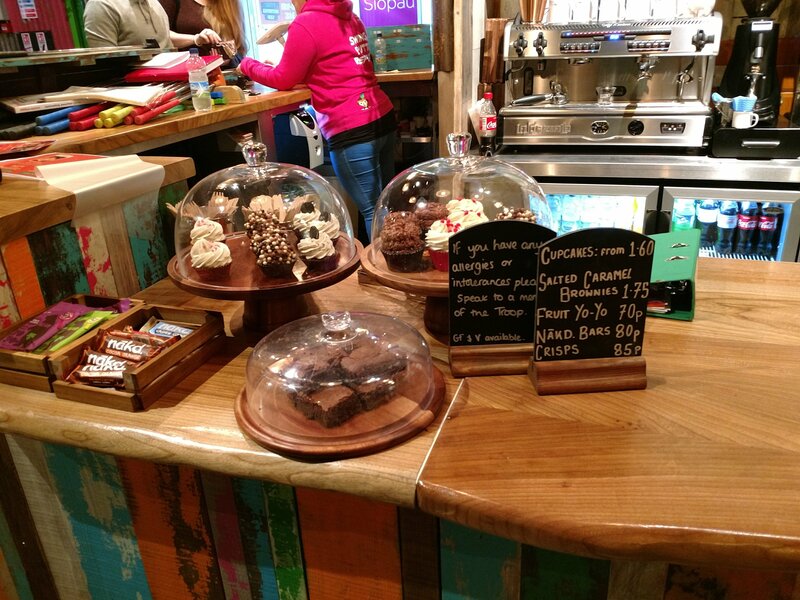 This entry was posted on Sep 24, 2017 by solicitingflavours in Alcoholic drink, Argentinian wine, Australian wine, Beer, cake, Cardiff, Cardiff restaurant, charcuturie, cheese, cocktails, coffee, Drink, Fast food, Food, Food and wine products, food hut, Italian wine, Italy, Lunch, lunchtime, Non alcoholic drink, Penarth, Pizza, Pizza Pronto, Red Wine, restaurant review, review, Riesling, Take away, Tea, Torrontes, Uncategorized, Wales, White wine, Wine, wine pairing, wine pairings.